Olive Mae, 6 weeks old:: Moments during the day when it is just the two of us are secretly my favourite. 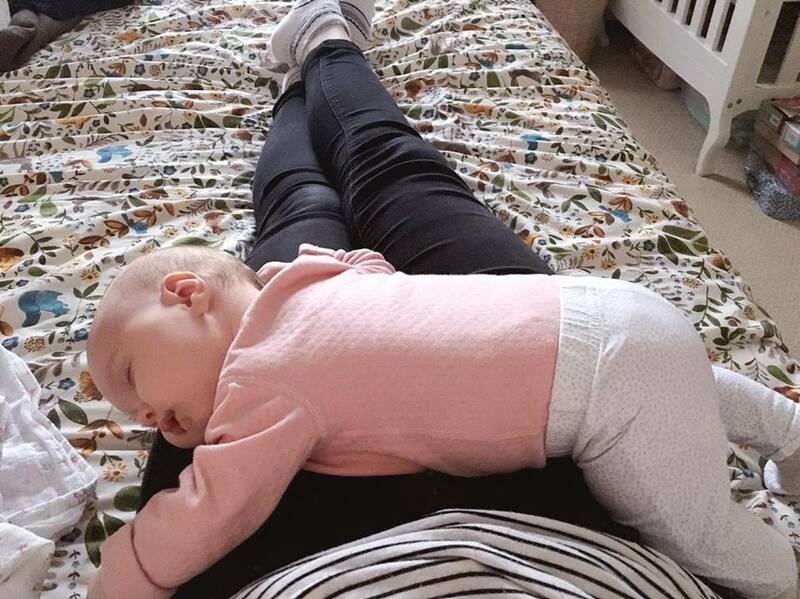 Especially when she falls asleep on me like this. On her tummy, with her dreamy grins and frowns and sighs. Ah the little things.